So, how is art authenticated? For years, the industry relied on connoisseurship. Individuals became “connoisseurs” or experts about an artist or artists by seeing and studying his or her works. The experts examined brushstrokes, the application and thickness of paint, and the way artists painted certain recurring themes. This was the widely accept method to determine authenticity and value until the early 20th century. According to Charney “copying art has always been the way young artists learned their trade - copying or imitating another artist's style is only a crime if someone tries to pass off the copy as an original.” History is littered with cases of this type. The first time science was used to convict a forger was in 1932 at the trial of Otto Wacker. A German art dealer, Wacker commissioned and sold forgeries of the paintings of Vincent Van Gogh. 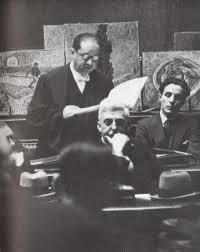 At the trial, the prosecutors brought forth two Van Gogh experts to testify. However, a wrench was thrown in the works when the experts could not agree on which, if any, of the pieces were genuine. To make matters worse, one of the experts repeatedly changed his decisions. Enter Martin de Wild – a Dutch chemist and author of the 1929 book “The Scientific Examination of Pictures.” He tested the oil paint from several of Wacker's Van Goghs. Resin and lead, chemicals that make oil dry faster, were found to be mixed into the paint. Wacker was convicted based on this evidence and sentenced to a year in jail. He appealed the decision, and his sentence was raised to nineteen months. Probably not the result he expected. 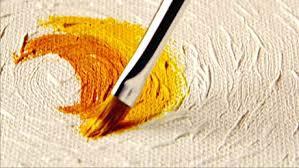 Science continues to be used to authenticate art. And art forgers continue to improve their techniques in an effort to beat science at their own game.